STRATFORD, CT – On April 28 – the Sunday after Earth Day – join The Maritime Aquarium at Norwalk and other organizations at Stratford Point Park to help clean and restore its shoreline environments. 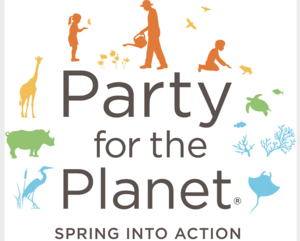 The special project is part of this year’s national “Party for the Planet: Spring into Action” initiative organized by the Association of Zoos & Aquariums (AZA). The Stratford Point effort is a partnership between The Maritime Aquarium, Audubon Connecticut, and Sacred Heart University’s Coastal and Marine Science Program. Volunteers are invited to join in between 10 a.m. and 3 p.m. Stratford Point is at the end of Prospect Drive in Stratford’s Lordship area. The event is rain or shine. Kids can help but must be accompanied by a parent or guardian. Crews are needed to help plant marsh grass, remove invasive species, install deer fencing and clean the beach. It won’t be all work. Expect special family fun, including giveaways, music, remote broadcasts by STAR 99.9 FM and more. Additional support is being provided by the Stratford Rotary Club and the Town of Stratford. To make planning the event easier, advance registration is requested. Sign up at www.maritimeaquarium.org/events.